Hugh Riminton is an author, television news presenter and radio broadcaster. His career includes more than twenty years as a foreign correspondent for CNN and the Nine Network. Hugh has reported from numerous war and conflict zones, from Afghanistan and Iraq to Somalia, Rwanda, South Sudan, East Timor, the Balkans and Israel’s wars with its neighbours, among others. He reported the Port Arthur massacre, the Thredbo disaster, China’s Sichuan earthquake, and once bought hundreds of slaves in Africa in order to set them free. He was also the Canberra-based political editor for the TEN Network. 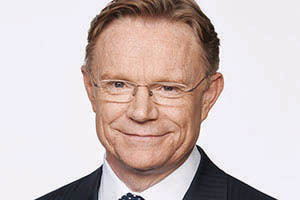 He is currently Senior Journalist and Presenter for TEN, frequently presenting TEN Eyewitness News, The Project and Studio 10 as well as contributing to TEN Daily and other print and online outlets. Hugh also presents “Sunday Extra” – a radio current affairs show heard every week on ABC RN. 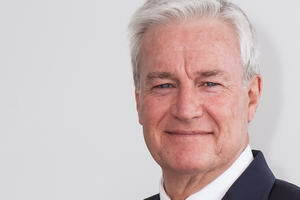 Hugh’s journalism honours include a Logie, two Walkley Awards, the United Nations Media Peace Award and awards from the Australian Human Rights Commission. He is the recipient of a prestigious US Award, The DuPont-Columbia Award, for his coverage of the 2004 Indian Ocean tsunami. In 2017 Hugh published his bestselling memoir Minefields: A Life in the News Game. 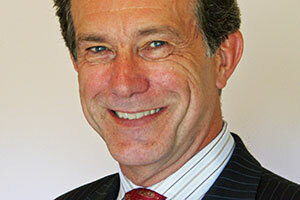 Hugh is an in-demand speaker and MC at innumerable major events in Australia and Internationally. On behalf of the Parari Steering Committee and Thales, I would like to thank you for your time last night. You were of course everything we had hoped for in a guest speaker and the way that you weaved Remembrance Day and Soldier On together was perfect - we have received nothing but praise for your address. Today we will continue to push hard to raise funds for Soldier On at this event and your talk last night will aide that mission. In fact I know that you lead directly to an increase in bids of about $2k last night alone. Hugh Riminton was an excellent MC at our function, very professional and easy to work with. ...the feedback from the Sydney delegates was extremely positive. In fact you [Hugh Riminton] scored the highest mark out of everyone on the program including all our keynote speakers. On a scale from 1 to 4 (1 being the highest) you scored an average of 1.35 followed by Bill Clinton in second position with 1.48 and Spencer Johnson with 1.49. I would like to congratulate you for this remarkable score. I have done close to 300 events with Leading Minds and therefore also seen a lot of remarks over the years. The comments concerning you and your appearance on stage in Sydney were outstanding and very rewarding. All in all, we can only be extremely pleased with what was accomplished in Sydney. It truly was a pleasure working with you and I would like to thank you yet again for all your tremendous help and effort making "Leaders in Sydney" a success in so many ways. Hugh was the absolute consummate professional and a delightful person. So eloquent, approachable and easy to work with. I would highly recommend Hugh for any future MC roles - he was absolutely brilliant and I am so appreciative on how he bought synergy and alignment between what he does and made it relevant to the outsourcing industry. A hard audience but he handled and delivered it brilliantly.